House Arano (The Aurigan Coalition) was announced by Catalyst Game Labs as an upcoming product with a tentative release date of 26 April 2019. 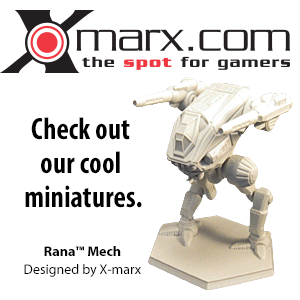 A callback to the old FASA-era Housebook series from the 1980s, this product is expected to cover House Arano and the Aurigan Reach periphery nation just after the conclusion of the Arano Restoration storyline from the BattleTech computer game by Harebrained Schemes. As a CGL publication, this product meets all criteria for canon. It is expected to canonize the worlds, realms, characters and conflicts from the (technically apocryphal) game fully or at least to some degree. The Arano Restoration has succeeded, and High Lady Kamea rules over the reunited Aurigan Coalition. But all is not well—the Coalition’s hardscrabble planets teeter on the brink of collapse, while its powerful neighbors await another chance to subvert House Arano. More than ever, the Coalition needs warriors willing to do whatever it takes to claim victory. 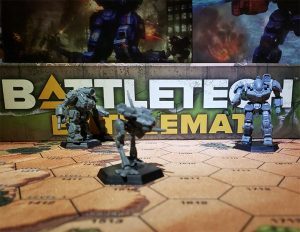 Step into the Aurigan Coalition in this Print-on-Demand and PDF product which brings the setting of the hit PC strategy game BattleTech into the long-running tabletop experience. Learn the proud history of the Coalition and its hope for the future, then take up the defense of the Arano dynasty with four all-new scenarios picking up where the game left off. "House Arano: The Aurigan Coalition" is authored by Harebrained Schemes' Andrew McIntosh and Kiva Maginn, writers and developers of the BattleTech PC game. To survive on the fringes of the Inner Sphere, those of noble birth must once again call on champions of mercenary mind. This page was last edited on 3 March 2019, at 05:02.